You may have heard or read that the University of Tennessee System announced Thursday that students eligible for Pell Grant aid (family income of $50,000 or less), and who qualify for the HOPE Lottery Scholarship, can attend one of their institutions without paying tuition or mandatory fees. I’m proud to say that MTSU students in this category have attended our institution for years without paying tuition or mandatory fees. Our Admissions and Financial Aid teams are among the best at helping our at-risk students qualify for the full range of federal and state scholarships and assistance. About 50 percent of our students receive Pell aid (in contrast, about 30 percent of UT-Knoxville’s population receive Pell aid). That’s why we are a destination of choice for first-generation college students. And we’ve done all of this while raising our admissions standards and setting records on average ACT scores of our incoming freshmen. It is interesting to note that according to a recent New York Times database, the median family income of a student from Middle Tennessee State is $71,700, and 25% come from the top 20 percent of income strata. According to the same database, the median family income of a student from UT-Knoxville is $96,900, and 42% come from the top 20 percent. It’s also important to remember that MTSU’s full-time undergraduate tuition and fees of $9,206 for the Fall 2018 and Spring 2019 semesters remains the lowest of the state’s three largest universities. University of Tennessee-Knoxville charges $13,006, while the University of Memphis charges $9,701. Our affordability makes MTSU more accessible to students from all income levels seeking a top-tier educational experience. And, this year, we substantially increased the value and broadened eligibility of our Presidential Scholarship, which more than doubled the amount we awarded to some high-ability freshmen who will enroll this fall. As you are aware, on Monday evening Governor Lee presented his 2019‐20 budget to the Tennessee General Assembly. We have conducted a preliminary analysis of the details of the Governor’s Budget and I wanted to outline how his proposed budget could affect our University, if approved by the Legislature. • Net operating appropriations, which includes adjustments made through the funding formula, will increase by $3.8 million. • Even though this year’s budget does not include a separate funding allocation for higher education salary increases, it does provide that additional funds can be used for salaries and/or operational expenditures at the discretion of the University. Increases over the past few years have been minimal but improving employee salaries remains my number one priority in establishing the University 2019-20 budget. I continue to make the case to our state legislative leaders and the executive branch, and more recently to our own Board of Trustees, regarding the importance of improving salaries for our employees. The Governor’s Budget included funding equivalent to a 2 percent salary pool for state agencies. • A new 54,000 square foot academic facility to house the School of Concrete and Construction Management, ranked No. 3 on the higher education priority list by the Tennessee Higher Education Commission, is among $133.1 million in capital outlay projects that Lee recommended for the state’s universities, community colleges and technical colleges. The recommendation would provide $34.1 million in state funding and require the university to raise $6.0 million through other sources, representing a total project cost of $40.1 million. 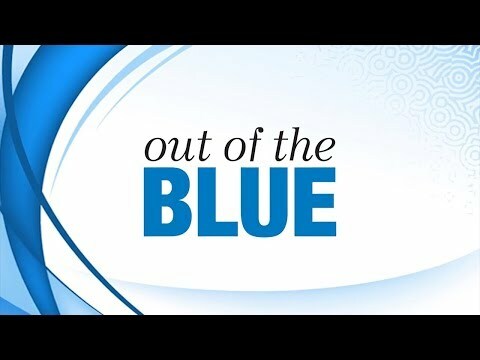 • The Governor recommended $73.4 million in capital maintenance funding for all of higher education, which includes funding for two (2) of MTSU’s six (6) recommended capital projects and additional funding for ADA projects, totaling $6.4 million. • Establishes $3 million of recurring funding to the Bureau of TennCare for the Graduate Medical Education (GME) program—financial assistance for medical students—to increase the number of primary care providers in underserved rural areas of Tennessee. 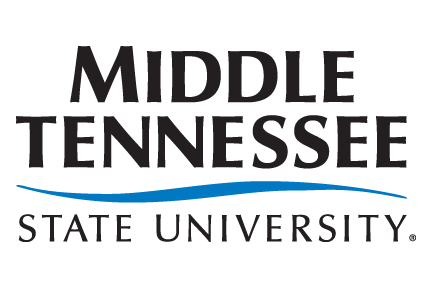 This funding could assist with a partnership we have with Meharry Medical College for a fast‐track program for select, qualified students to receive both an undergraduate degree from MTSU and a medical degree from Meharry in six years. • In 2016, THEC recommended funding for the Tennessee Board of Regents’ (TBR) strategic initiative involving campus safety. This initiative involved requested funding of $8.9 million to implement the recommendations of the Safety and Security Task Force. Phase III funding for this initiative is included in the Governor’s Budget at $2 million for TBR and the Locally Governed Institutions (LGI’s). MTSU’s share of this funding will be $213,900. With the limited operating appropriations provided in the budget to cover our fixed costs increases (i.e. faculty promotion increases, utilities, software maintenance, etc.) and increases in funding scholarships, we will once again be operating on a very tight budget. The FOCUS Act, if you will remember, also gives THEC the authority to issue a binding tuition and mandatory fees range that the University must stay within when raising tuition and fees. While the preliminary recommendation is for a tuition increase in the range of 0‐2.5%, the final range will not be issued until early May by THEC. As the Legislature debates the final budget, we will continue to review additional information as it becomes available and incorporate the impact into the University’s budgeting process for the upcoming year. As future developments are known, I will continue to communicate with the campus through our campus website and with email messages to keep you abreast of the Legislature’s actions. Considering the cost of college, students can’t afford not to graduate, especially if they have student debt. Yet, American universities suffer from chronic attrition. About a third of college freshmen don’t return for a second year. Universities have tried various strategies to keep students on a path to graduation, but nationally the six-year completion rate hovers at 57 percent. Attrition isn’t just expensive for students. Universities take a hit too—especially in Tennessee, which in 2010 began using outcomes rather than enrollment numbers to calculate higher education funding. At that time, a 3,000-student freshman class at MTSU could expect to lose 900 students the first year. Only half the class would graduate within six years. The Quest for Student Success, which the University launched in 2013, radically rethought the University’s approach to attrition. While MTSU has always targeted at-risk populations for support, our new Office of Student Success is boosting every student’s chance to succeed. Working collaboratively, the University has overhauled student advising, developed fresh options for academic help, and redesigned courses that are traditional stumbling blocks to graduation. At the same time, we are using predictive analytics—an approach more commonly associated with health care than higher ed—to fight attrition in a highly surgical way. Predictive data can help identify students who are at statistical risk of attrition even if they don’t fit into traditionally “at-risk” population. Armed with this knowledge, our faculty and advisors can watch them to spot any problems early and get them back on track. to join Re-Imagining the First Year, an initiative sponsored by the American Association of State Colleges and Universities (AASCU) and funded by the Bill and Melinda Gates Foundation, to help other institutions improve their student success, too. And recently, AASCU extended an invitation to me to share our student success initiatives with university presidents from across the country. Here are the most recent updates regarding our collective work to improve student success at MTSU. Thank you for your help in achieving these gains. has witnessed unprecedented outcomes on key student success measures. For example, the full- time freshman retention rate has increased from 69 percent to 76.8 percent. Similar increases in retention have been observed for every student category (sophomores, juniors, seniors) and across all colleges. Accomplishments like these have drawn national attention, and MTSU’s student success initiatives have been highlighted in the New York Times, Washington Post, Chronicle of Higher Education, and more than a dozen other national publications. Please be on the lookout for additional information, and do not hesitate to contact any member of the work group if you have questions or need additional information. 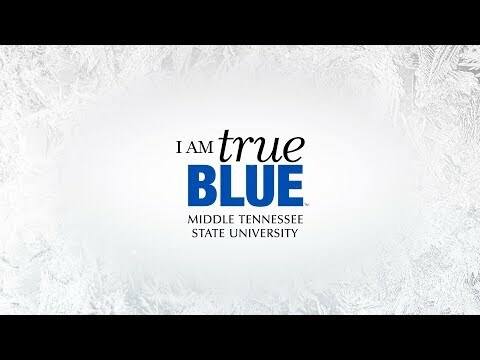 Find out more about this very important initiative atmtsu.edu/provost/quest-2018. Nearly a year ago, a group of dedicated academic advisors began meeting to devise a comprehensive professional development and training plan. Through their efforts, the Advisor Mastery Program (AMP) was created and implemented. AMP provides our advisors with access to a wide-ranging series of professional development and training opportunities. This includes anything from webinars, lunch-and-learns, sessions led by advisors and others from across campus, and workshops featuring nationally recognized student success experts. Through their participation in these sessions, advisors earn points with the goal of attaining annual AMP certification. Twenty-nine advisors were recognized for completion of the Advisor Mastery Program at an advisor annual retreat and workshop in April. Today, two committees guide this important work. The Professional Development Committee is chaired by Amber Bollinger, advisor in the Jones College of Business. The Training Committee is led by Janae Daniels, an advisor in the College of Media and Entertainment. The Advisor Mastery Program will host Florida Atlantic University’s Jennifer Bloom on campus Sept. 13–14. Bloom co-founded the Appreciative Advising and Appreciative Education movements. She will conduct an Appreciative Administration session on Thursday, Sept. 13. Please RSVP to Amber.Bollinger@mtsu.edu if you would like to attend. 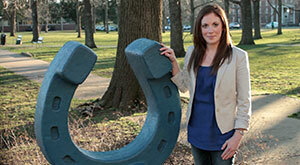 Learner support for MTSU students continues to evolve. Two primary components of learner support at MTSU are free tutoring and Supplemental Instruction (SI). Although in operation for a relatively short period of time, both tutoring and SI have evolved rapidly and are crucial components of MTSU’s efforts to support students. Free tutoring is now offered for more than 200 courses each semester. In 2017, students spent 15,557 hours in tutoring, a 120 percent increase over 2015. 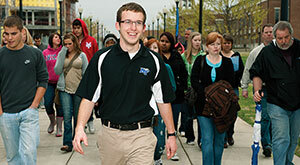 MTSU’s tutoring program was highlighted nationally in an article published inEDUCAUSE Review. to impact 4,990 students. 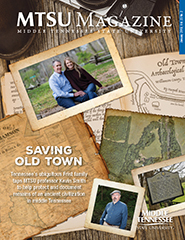 MTSU’s SI efforts have been recognized nationally. In Fall 2017, Rick Sluder, the leader of MTSU’s Office of Student Success, was identified as one of 25 state leaders from across the country for making a difference with educational technology. Named as an “EdTech Hero” by EdScoop.com, Sluder was recognized for work occurring on the MTSU campus involving the application of predictive analytics in student success. 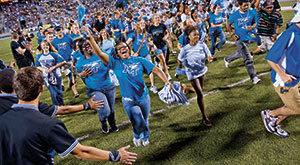 MTSU is a participant, along with other selected universities, in the Survey of Student Experiences. This project is coordinated by the Coalition of Urban Serving Universities and the Association of Public and Land Grant Universities. The purpose of the project is to build awareness of the psychological components of student success to understand how programs, policies, processes, and communications impact student persistence and retention. The goal is to use this knowledge to increase and expand the efficacy of existing student success strategies at MTSU. Five institutions from the cohort will be selected and provided with multi- year funding to further develop and implement lessons learned. In June, researchers representing the Harvard Graduate School of Education and the Bill and Melinda Gates Foundation visited MTSU to study work completed as a part of the Quest for Student Success. Representatives met with MTSU staff to learn about strategies that might be used by other universities to enhance leadership capacity, institutional research, and strategic finance in student success initiatives. Advising-Advising Administrator Award. NACADA prides itself as a professional association that promotes student success while providing opportunities for professional development, networking, and leadership for a diverse membership. The association includes 10 regions throughout the U.S. and Canada, and Region 3 is composed of Kentucky, North Carolina, South Carolina, Tennessee, and West Virginia. 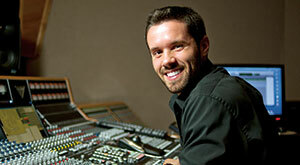 This is the third consecutive year an MTSU College of Liberal Arts advising center staff member has won a NACADA award. Past winners include Brad Baumgardner for the Region 3 Outstanding New Advisor Award and Matt Hibdon for Excellence in Academic Advising for Region 3. • Building project manager: Turner Construction Co.
We also will begin offering breakfast at Steak ’n Shake this fall. Breakfast options include biscuit sandwiches, breakfast tacos, Royale Steakburger, and Country Breakfast Bowl. I wish to inform you of an exciting opportunity that we are currently exploring. Middle Tennessee State University and Valparaiso University have entered into a non-binding letter of intent to transfer Valparaiso’s American Bar Association-accredited law school to our Murfreesboro campus. These discussions are preliminary, however, as both MTSU and Valparaiso determine whether such a move would be in the best interests of our respective stakeholders. If MTSU and Valparaiso move forward with the transfer, it would require approval from the governing boards of each institution, as well as the Tennessee Higher Education Commission. Founded in 1879, the Valparaiso University School of Law has a long and distinguished history of public service and a demonstrated commitment to diversity. It embraces law as a calling to leadership and, like MTSU, it is also known for its commitment to experiential education. Our exploration of this proposal is in keeping with MTSU’s tradition and strategic priority of pursuing innovative partnerships that create meaningful opportunities for our students, our region and our state.